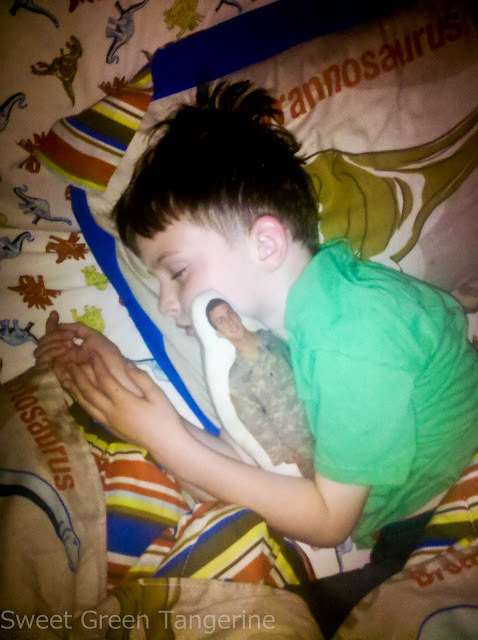 My sweet boy and his Daddy Doll. Love it! My kids have soldier dolls of their Uncle, too! Thanks for sharing! This is too sweet for words. Obviously I need to go eat chocolate or something. I just cried when I saw this!! I absolutely this Daddy Doll and think it's one of the greatest ideas ever for military families. We had one of those for our kids when daddy deployed. They are great! Now there is a quilt program they do for babies - really cute stuff!